CHICAGO (WLS) -- Have you ever gotten into an argument with your friends about who has the best pizza in the Chicago area? Well, our Hungry Hound Steve Dolinsky is aiming to put that debate to rest with a methodical survey of local pizzerias - in his epic PIZZA QUEST. 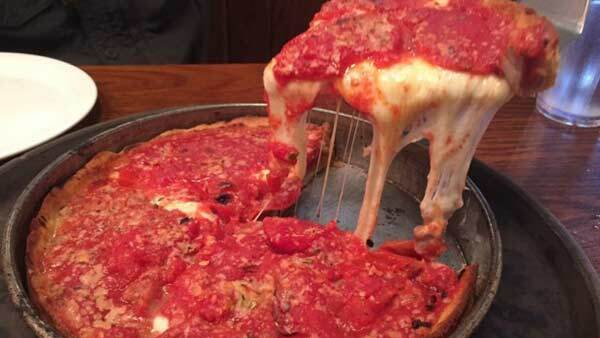 Our Hungry Hound visited 22 pizzerias that specialize in stuffed and deep dish pies. Read the full list here and breakdown of thin-crust categories. Based on the pizzas our Hungry Hound tried, the thick categories - as he's defined them for the Pizza Quest - are stuffed and deep dish. The Hound discusses some highlights from his Quest on Windy City LIVE!